In recent months I have revisited my interest in mudras, spiritual hand gestures within the practice of yoga. Of the mudras I was researching, one in particular caught my eye and made me laugh with surprise and delight when I read about its meaning and use. It is called the Shankh Mudra; Shankha meaning “divine conch”. 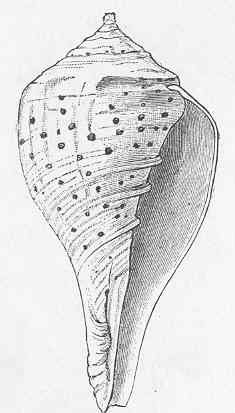 I was soon after only more delighted to get to the lesson in Michelle Hanson’s Ocean Oracle which included the Indian Chank shell (Turbinella pyrum). The mudra is made by encircling your left thumb with the four fingers of your right hand, and touching the tip of your right thumb to the tip of your left middle finger. This shape resembles a conch shell, which is very sacred within Hinduism and Buddhism, and is one of the Ashtamangala – eight sacred symbols and teaching tools of enlightenment. The conch represents the sound of dharma, the “right way of living”. The Shankh Mudra benefits the throat chakra and is intended to drive away all problems associated with the throat. This, combined with its association with a shell, is what made me laugh and associate it with mermaids and what then presented itself to me specifically as “Mermaid Medicine” – methods of spiritual and emotional (and physical) healing that resonate with watery, mermaid energies. Mermaids are famous for their beautiful voices and songs. At some point in our lives, we may experience pains and challenges that rob us of our ability to communicate effectively, to speak our truths, or to use our creativity to express ourselves. These hindrances are likely to manifest as blocks or illnesses of the throat or the throat chakra. Practicing the Shankh Mudra regularly, especially while chanting “OM”, is said to improve the voice, as well as heal and strengthen the throat chakra. Visualizing and/or evoking mermaid energies or even a specific mermaid goddess while practicing this mudra can further enhance its effectiveness and give it a personalized focus and intention, if mermaid energy resonates with you as it does with me. In the Ocean Oracle, the Indian Chank shell represents “Something or someone held sacred or dear”, drawing from the shell’s intense spiritual significance to Hinduism (and other Eastern practices). I think, in the context of using this mudra, this meaning can be extended to valuing your own voice and expression, holding your personal truth as sacred and dear as any deity or other spiritual belief. Meditating on this shell and its meaning while performing the mudra can also enhance its power and give it further personal meaning, as well as teach you to be true to yourself and to have the courage to speak your truth, and to speak it righteously. The Hindu god Vishnu is often depicted holding the Shankha, and is therefore another appropriate evocation. My voice is sacred as the holy shell. So that I may speak and share it well!